Bushy, perennial, often grown as an annual. White-felty stems bear lance-shaped, wavy-edged, glossy mid-green leaves which are white-hairy underneath. 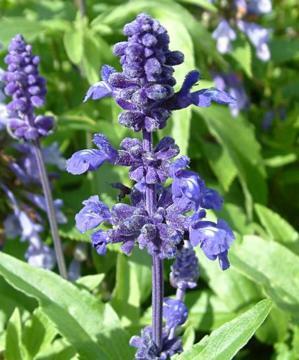 Erect, well branched stems carry terminal spikes of deep blue flowers in summer.